Does Ray Have the Necessary Downsizing Skills? Selling our condo in Virginia is part of our downsizing plan. But first, we need to put it in shape. 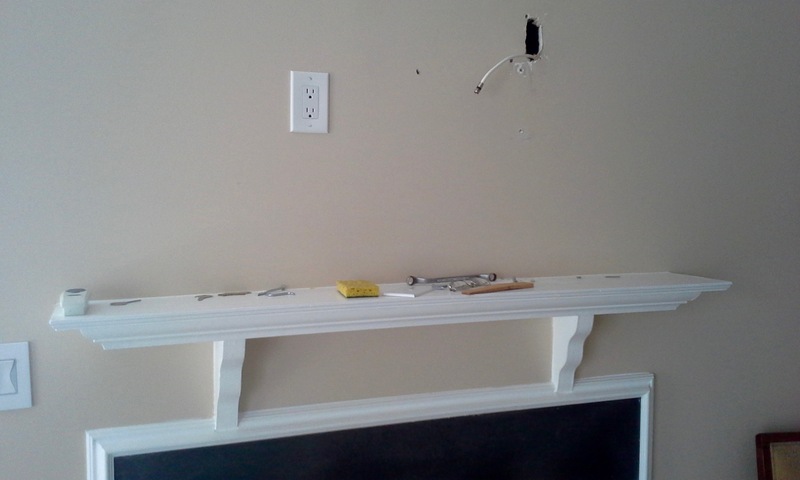 The last owner had a big TV over the fireplace, and its removal left some holes, large and small. We’ve been covering the ugliness with a picture for years, but now the time has come to deal with it. Will Ray have the skills to deal with the situation? Or will he have to call in the professionals? This entry was posted in Downsizing on July 1, 2016 by Ray Copson. 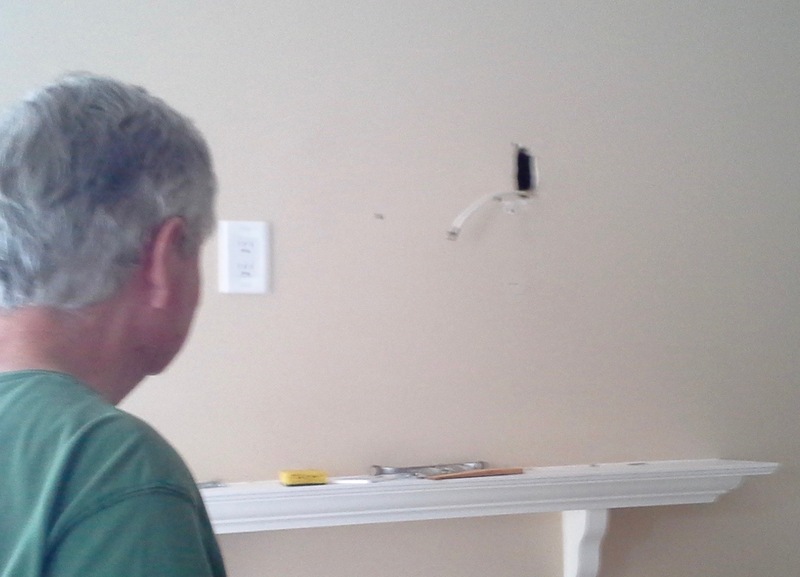 How about leaving the picture in place over the hole right where it has been – that way the picture could be added to the list of “stuff” you two have been busy sorting and discarding during your downsizing project. Ray would be off the hook for the repair.